HIFA is a campaign and knowledge network with more than 15,000 members in 175 countries worldwide and supported by more than 260 organisations worldwide. Members include health workers, publishers, librarians, information technologists, researchers, social scientists, journalists, policy-makers and others – all working together towards the HIFA goal. Ce film s'adresse aux femmes, aux travailleurs en santé et aux communautés en général. Ce film s'adresse aux mères, aux travailleurs en santé et aux communautés en général. "Understanding International Policy on HIV and Breastfeeding: a comprehensive resource" is a resource which aims to clarify the confusion which has arisen during the last decade due to changing HIV and infant feeding guidance. The resource is intended for policy-makers, breastfeeding advocates, national breastfeeding committees, public health advocates, women's health activists and others working in the community. The resource also summarises up-to-date scientific evidence as at the end of 2012. Research emerging between WHO's 2006 and 2010 guidance documents showed conclusively that maternal/infant ARV regimens during pregnancy and breastfeeding greatly reduce vertical transmission of HIV; and that exclusive and continued breastfeeding significantly improves overall HIV-free survival. 30 July 2013 | GENEVA - Only 37 countries, or 19% of those reporting, have passed laws reflecting all the recommendations of the International Code of Marketing of Breast-milk Substitutes, according to a new WHO report. Globally, breastfeeding has the potential to prevent 220 000 deaths among children under five each year. WHO recommends that all infants should be exclusively breastfed for the first six months of life, but actual practice is low (38%). Q&A: Up to what age should a baby be breastfed? 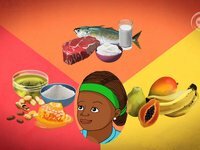 Hesperian Health Guides is a nonprofit health information and health education source that develops accessible materials in many languages. 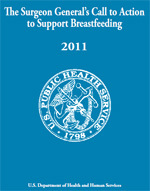 Access free information in Hesperian's related to breastfeeding. A poster has been developed for each step to promote and educate both staff and consumers of the 10 steps. The posters have been designed to be printed on A3 paper. We suggest you place these posters around your hospital in the most suitable and appropriate rooms/settings.